A change in leadership in 2017 spurred a major strategic repositioning of the Health Care Cost Institute, which promotes independent, nonpartisan research and analysis on the causes of the rise in U.S. health spending. HCCI enlisted The Reis Group as its agency of record to reintroduce the organization and its comprehensive health data to thought leaders and influencers within healthcare, as well as initiate a conversation about the drivers of health-care spending through data transparency. 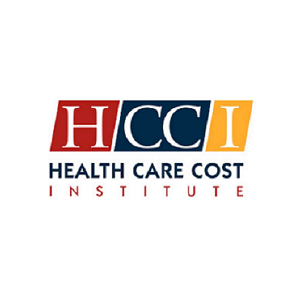 As the first item, The Reis Group promoted HCCI’s annual Health Care Cost and Utilization Report by stressing the power of HCCI’s database, which holds information on approximately six billion private health insurance claims, making it one of the largest collections of this type of data ever assembled. The data cover nearly 30 percent of all individuals under age 65 with employer-sponsored health insurance. The Reis Group orchestrated the approach, including determination of the release timing, positioning of the findings, and identification of media targets that would maximize national exposure and create a visible role for HCCI’s leaders. With a reimagined report design and strategic promotion, the report generated 110 articles and nearly 1,297 social media posts. This national dialogue on health-care spending extended from Wall Street, to Capitol Hill, across California, and into homes nationwide reaching a potential audience of nearly 64 million people.